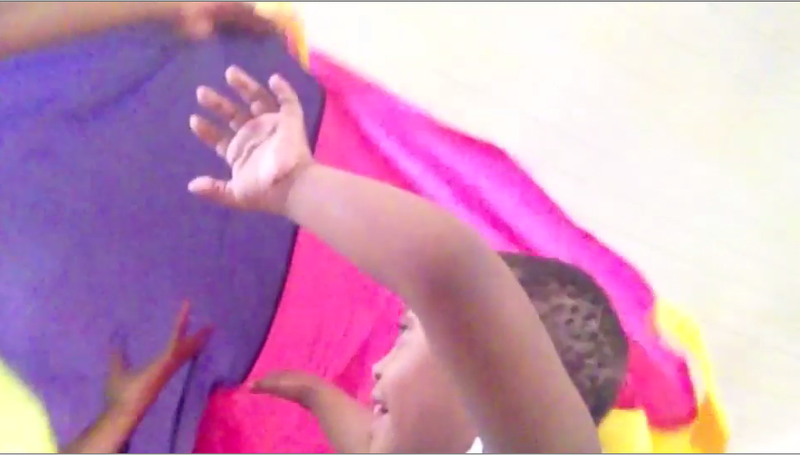 I'm always looking for fun new ways to keep children engaged and having fun while learning language, so when I was introduced to parachute play earlier this summer it became one of my top therapy tools. It is great fun for all ages, and can be used for individual sessions and with groups. 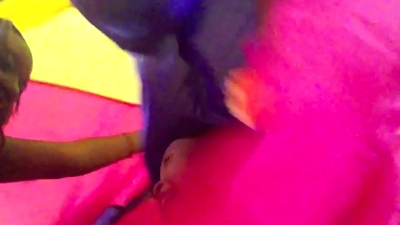 With its bright colors and the ease with which it moves the parachute is an amazing sensory experience, particularly for those children on the spectrum. My first parachute play experience occurred during my summer camp. I saw this lady's page being advertised on Facebook, and this was one of her party activities. I invited her in to do some of these activities with my little ones and I fell in love. She pulled out this huge parachute which she spread across the lawn and everyone was instructed to hold the many handles. We worked together to lift the parachute "up and down" "fast and slow" "shake shake shake" from side to side, listen for "stop and go," shake to the beat of a drum. Needless to say I was over the moon. She had me at 'shake shake shake.' She had lots of little songs to go with the activities which I was scribbling down quickly as we went along. There was one in particular about a little bunny, where she put the bunny puppet in the middle and everyone had to keep the parachute very still because he was sleeping, but then the bell went Ding-a-ling-a-ling and it was time for the bunny to WAKE UP, so everyone had to shake the parachute up and down to wake the bunny. Another activity was one where she put some toy animals in the middle under the parachute, then she made an animal sound and a child had to dash under the parachute and pick up the correct animal. How cool is that! My favorite was the popcorn game where she put some pretend popcorn in the middle (I think she got this from Lakeshore, later I recreated this with styrofoam chips), and went through the popcorn story where the parachute was a BIGGGG pot, you had to pourrrrrrr in the oil, shake shake shake the salt etc. then stir and stir and stir, then it starts to get reaaalllyyyyy hot (don't touch), then the popcorn starts to pop pop pop and you shake the parachute up and down to make it pop. This was a big favorite with the little ones. There were a few other ones that I liked, including everyone running under the parachute on a signal, and one with putting body parts over and under. Yo Ho Ho and a Bottle of Bubbles! !